Learn how to make a universal app that works on the iPhone, iPad, and retina display in this Sprite Kit tutorial! Whack that laugh off this mole's face! 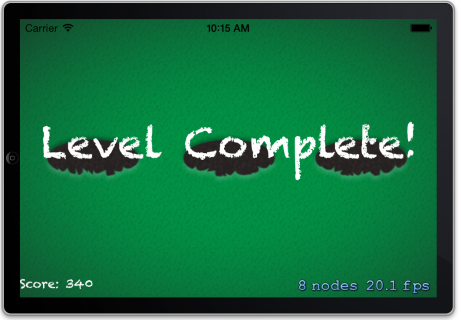 Note from Ray: Tutorial Team member Nick Waynik has ported this tutorial from Cocos2D to Sprite Kit as part of the iOS 7 Feast. We hope you enjoy! This article is the second part of a two-part series on how to create a mole whacking game with Sprite Kit. This series brings together a lot of concepts from other Sprite Kit tutorials on this site, and introduces some new concepts along the way as well. In the first part of the series, we created the basics of the game – cute little moles popping out of holes. We spent a lot of time thinking about how to organize the art and coordinates so that the game would look good on the iPhone 3.5-inch, iPhone 4-inch, iPad, and iPad Retina – and be efficient too! In this article, we’ll add some cute animations to the mole as he laughs and gets whacked, add gameplay so you can do the whacking and earn points, and of course add some gratuitous sound effects as usual. If you don’t have it already, grab a copy of the project where we left things off in the last Sprite Kit tutorial. To make the game a little more fun, we’re going to give the mole two animations. 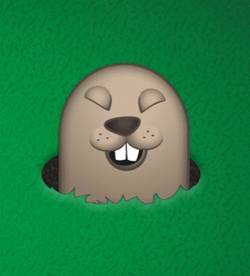 First, he’ll laugh a little when he pops out of the hole (to make you really want to whack him! ), then if you do manage to whack him he’ll make a “just got whacked” face. But before we begin, let’s talk about the practicalities of defining our animations in code. Our mole’s laugh animation is going to be these images in this order: mole_laugh1.png, mole_laugh2.png mole_laugh3.png, mole_laugh2.png, mole_laugh3.png, mole_laugh1.png. But that would make our code kind of ugly. To make things a bit cleaner, instead of defining the images in the animation in code, we’ll bring them out to a property list instead. If you haven’t used property lists before, they are special files you can create in XCode to contain data like arrays, dictionaries, strings, numbers, and so on in a hierarchial format. It’s extremely easy to create these, and just as easy to read them from code. Every property list has a root element. This is usually either an array or a dictionary. This property list is going to contain an array of image names that make up the laugh animation, so click on the second column for the root element (Type, currently set to Dictionary), and change it to Array. Next, click the small plus sign button to the right of the word Root – this adds a new entry to the array. By default, the type of the entry is a String – which is exactly what we want. Change the value to “mole_laugh1.png” for the first entry in the animation. These will be used to keep a handy reference to each SKAction so it can be easily found and reused in the code. This is important to understand, so let’s go through it line by line. The property list is included in the project file, so it’s in the app’s “main bundle”. This helper method gives a full path to a file in the main bundle, which you’ll need to read in the property list. To read a property list, it’s as easy as calling a method on NSArray called arrayWithContentsOfFile and passing in the path to the property list. It will return an NSArray with the contents (a list of strings for the image names in the animation, in this case). Note this works because we set the root element to be an NSArray. If we had set it to a NSDictionary, we could use [NSDictionary dictionaryWithContentsOfFile…] instead. Creates an empty array that will store the animation frames. Loops through each image name in the array read from the property list. Gets the texture for each image and adds it to the array. Returns a SKAction based on the array of textures. The only difference here is that instead of delaying a second before popping down, it runs the laughAnimation action instead. The laughAnimation action uses textures from the laughAnim.plist, and sets restore to YES so that when the animation is done, it reverts back to the normal mole face. 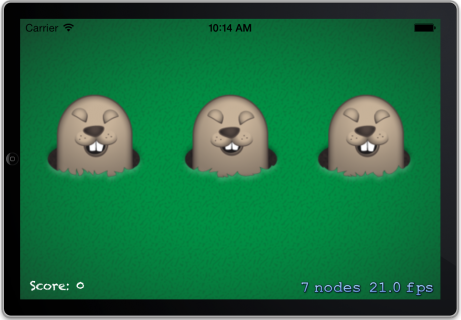 Compile and run your code, and now when the moles pop out, they laugh at you! Time to wipe that smile off their faces and start whacking! We’re now going to add the gameplay logic into the game. The idea is a certain number of moles will appear, and you get points for each one you whack. You try to get the most number of points you can. So we’ll need to keep track of the score, and also display it to the user. And when the moles are finished popping, we’ll need to tell the user about that as well. These will keep track of the score label, the current score, the number of moles popped so far, and whether the game is over or not. This code creates a label to show the score. The label is placed in the lower left corner of the screen by using the margin of 10 points from the left and bottom. Setting the label’s horizontalAlignmentMode property to SKLabelHorizontalAlignmentModeLeft will position the label’s text so that the left side of the text is on the node’s origin. This is very simple – on the iPad and iPad Retina the font size is doubled, otherwise it’s left alone. The method immediately returns if there has been 50 or more spawns, since 50 is the limit for this game. It next resets the display frame of the sprite to the base image (“mole_1.png”) at the beginning of the method, since if the mole was hit last time, it will still be showing the “hit” image and will need to be reset. Right before the mole laughs, it runs an action to run code specified in a block. This block sets a userData dictionary object named tappable to an NSNumber of 1, which you’ll use to indicate whether the mole is tappable. Similarly, after the mole laughs, it runs code specified in the block for the unsetTappable action, which sets the tappable flag back to 0. The touchesBegan:method get the location of a touch, then it finds the SKNode at the touch location. If the node’s name is equal to Mole, it proceeds to check if the sprite is tappable. If the mole is hit, it sets the mole as no longer tappable, and increases the score. It then stops any running actions, plays the “hit” animation, and moves the mole immediately back down the hole. That’s it! 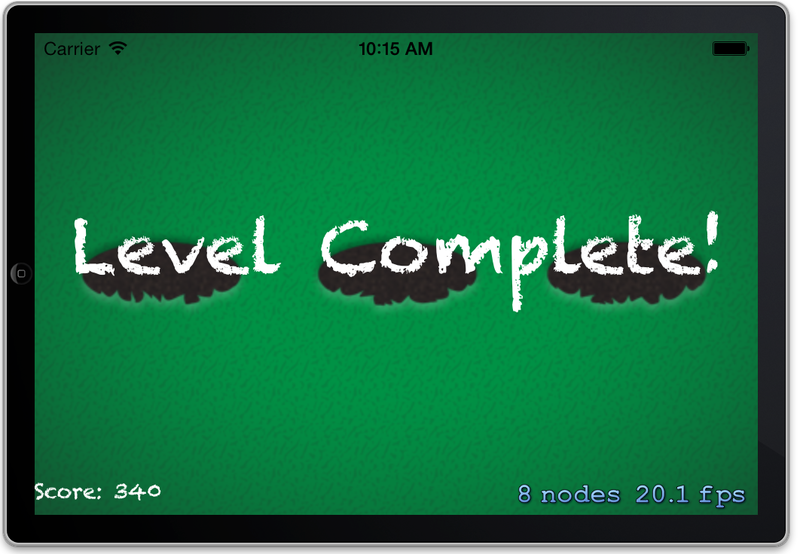 Compile and run your code, and you should be able to whack moles and increase your score! How high of a score can you get? As usual, let’s add even more fun to the game with some zany sound effects. Download these sound effects Ray made with Garage Band and Audacity, unzip the file, and drag the sounds to your WhackAMole folder. Make sure that “Copy items into destination group’s folder” is selected, and click Finish. Compile and run your code, and enjoy the groovy tunes! Here is a sample project with all of the code we’ve developed so far in this Sprite Kit tutorial series. That’s it for this article series (at least for now) – but if you want, why not play with this project some more yourself? I’m sure you can come up with some good ideas for how to make things even better! If you want to learn more about Sprite Kit, check out our book iOS Games by Tutorials where you’ll learn how to make 5 complete games – from a zombie action game to a racing game to a space shooter!